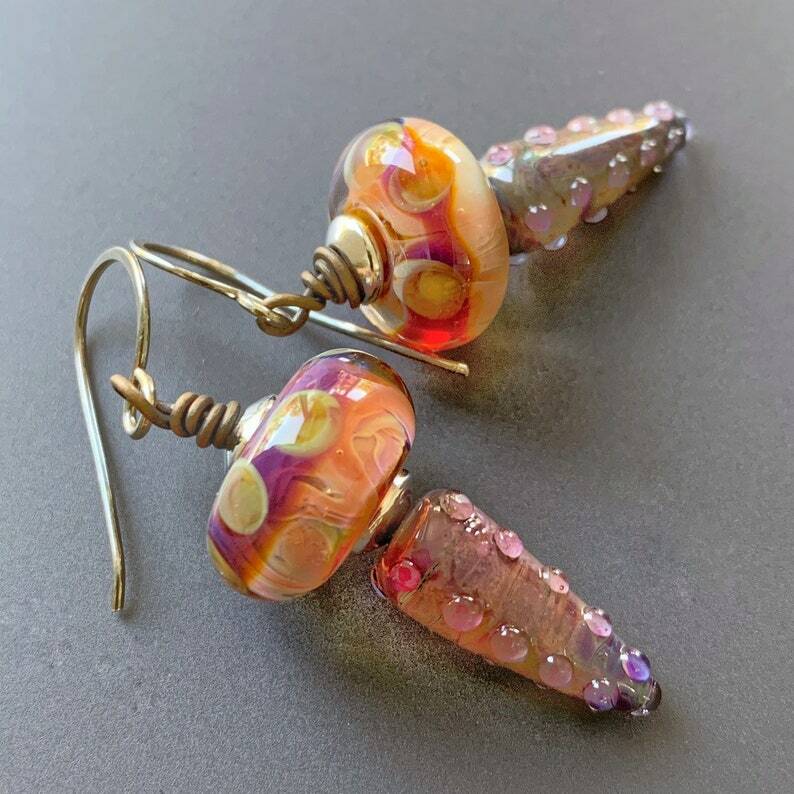 These luminous lampworked glass bead and oxidized sterling silver drop or dangle earrings are just stunning. Slightly flattened round upper beads with lots of depth feature green dots and purple bands encircling a center of pink and orange. Silver bead caps on either end highlight the conical bumpy textured purple beads below. I have suspended these from my own hand-hammered and forged oxidized sterling silver earwires. These earrings measure about 1-7/8 inches long including the earwire with a drop of about 1-1/8 inch. Please see the photo of these on the palm of my hand for size reference.